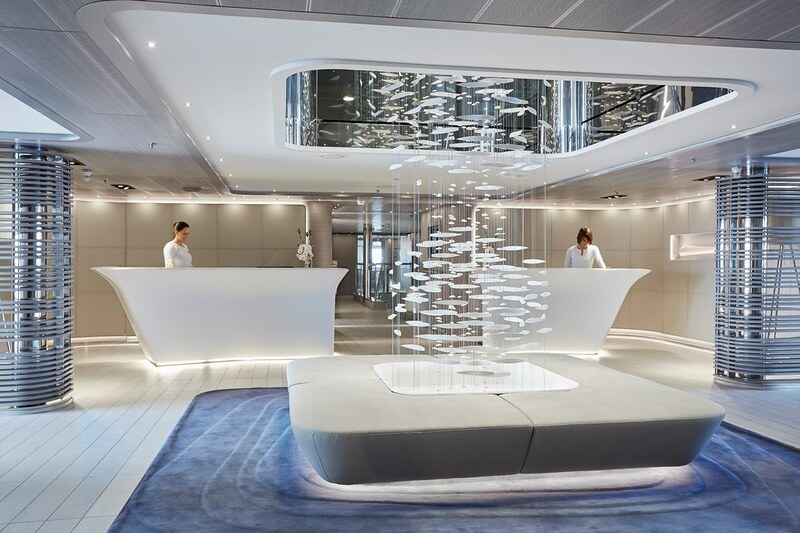 Celebrating its inaugural voyage in May 2015 PONANT’s latest ship, Le Lyrial, one of four sister ships that comprise the youngest fleet in the world, has created quite a stir. 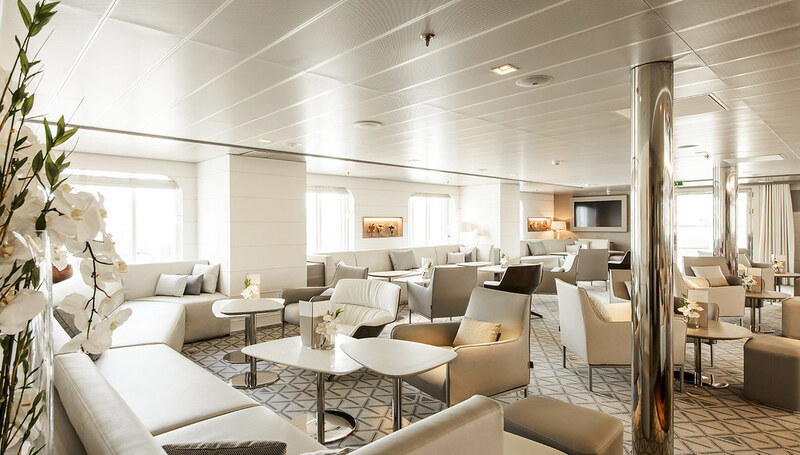 Interested guests, travel industry and media alike have been eager to obtain more information on this latest iteration of PONANT’s small luxury expedition ship. Responding to demand, PONANT has created a microsite specific to Le Lyrial, http://lyrial.ponant.com/english.php, with video of the Fincantieri shipyard construction, 360 degree views, facts and figures and interviews. Plus, a magazine style brochure and an e-brochure full of Q&As designed to satisfy even the most curious. The first series of Mediterranean voyages well underway, (including joining sister ship Le Soléal at Gallipoli for the 100 years Anniversary ANZAC Day Memorial Service), Le Lyrial will soon be heading south to join L’Austral and Le Boréal for a southern summer season of Antarctic voyages. Background information: May 2015 - Le Lyrial, commenced its inaugural season. A light-grey hull, an exquisitely slender bow, a sleek line silhouette, 122 staterooms and suites designed by highly regarded French designer Jean-Philippe NUEL. 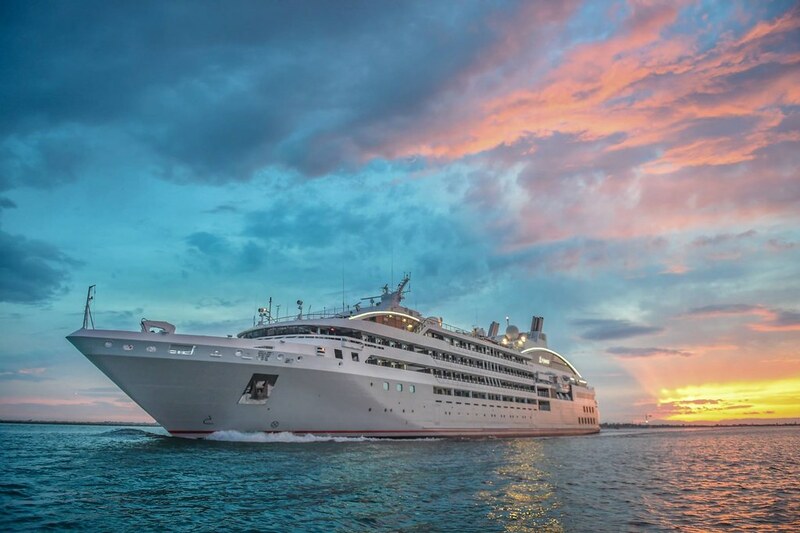 In the wake of Le Boréal (2010), L’Austral (2011) and Le Soléal (2013), Le Lyrial is the last in PONANT’s superb series of 4 sister-ships flying the French flag. All CLEANSHIP certified these ships are the latest in maritime design and innovation. With these ships, offering sophistication and efficiency, the only French cruise line and world leader in Polar cruising perpetuates the great French maritime tradition; one that offers exceptional destinations and Five-star services on small capacity ships embodying a lifestyle “à la française”. Like her sister ships, Le Lyrial embodies a subtle atmosphere, a combination of luxury, intimacy and wellbeing which is the company’s signature. The elegance of her exterior and interior lines and intimate size (only 122 staterooms and suites) make her a rare and innovative ship on the cruise market, giving passengers the feeling they are on a private yacht. Le Lyrial refers to the Lyra constellation in the northern hemisphere. Its principal star is the blue Vega, one of the brightest stars in the sky which is on its way to becoming the next northern pole star, a fitting reference for a Five Star Expedition specialist of the polar regions. Entrusted once again to French interior architect Jean-Philippe NUEL, the interior design, cosy yet contemporary, embodies the ‘Yacht Cruises & Expeditions’ universe as conceived by PONANT, a subtle combination of intimacy, authenticity and elegance with the inimitable “French touch”. In a close collaboration with Veronique SAADÉ, Deputy CEO of PONANT, he created a “yachting” feel inspired by the dream destinations the company visits and the blue light of the Vega star in the Lyra constellation. The result is a subtle variation around a palette of blues, ranging from the luminous delicate grey-blue of the Polar ice to splashes of the vivid turquoise blue found in Mediterranean coves. 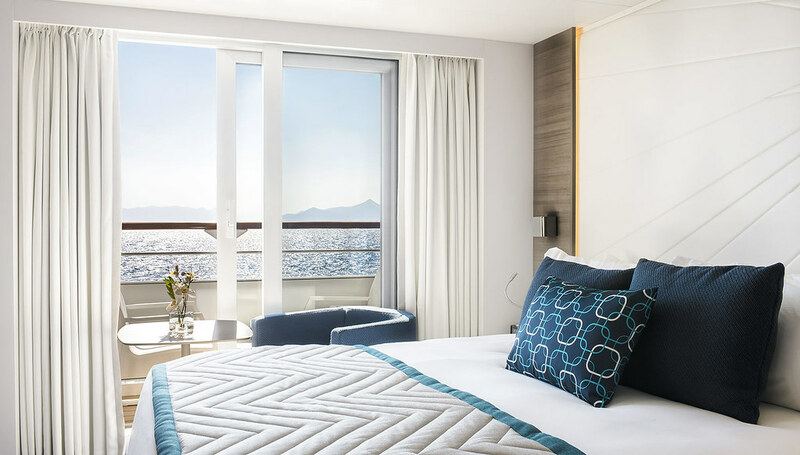 To meet its clientele’s expectations, PONANT has redesigned Deck 6 on Le Lyrial to accommodate larger suites, up to 66 m2 for the Owner’s Suite. As a result Le Lyrial has 122 staterooms and suites compared to the 132 on Le Soléal, L’Austral and Le Boréal. Responding to demand, PONANT has created a microsite specific to Le Lyrial, http://bit.ly/PONANT-Le-Lyrial, with video of the Fincantieri shipyard construction, new pictures, 360 degree views, facts & figures and interviews.